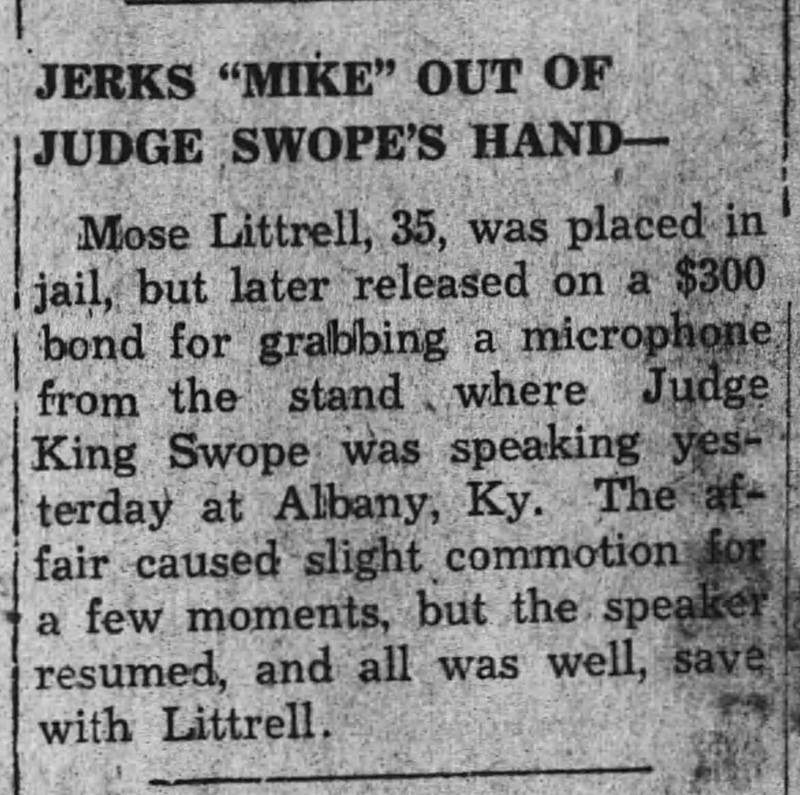 Aug. 29, 1935, (AP) Albany, Ky. -- "The jerking of a microphone from in front of Circuit Judge Swope, Republican nominee for Governor of Kentucky, threw a large homecoming crowd into an uproar here and resulted in the arrest of Mose Hurt Littrell, 43, on a charge of interrupting a public speaking." 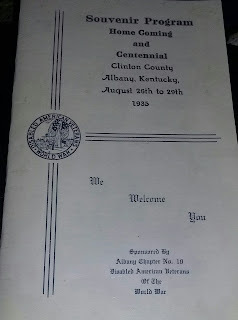 The 100th birthday anniversary of Clinton County in 1935 was a really big deal. 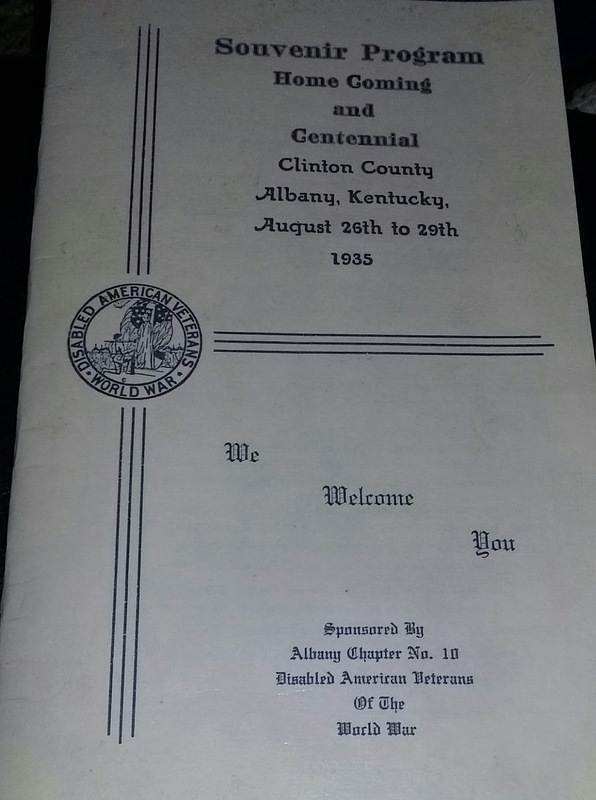 The Disabled American Veterans of the World War, chapter 10, under the command of Littrell, organized the event, which lasted four days, August 26th through the 29th, complete with a Homecoming and Centennial Jubilee, an epic event with a who's who list of speakers. Senators Alben W. Barkley and Marvel Mills Logan of Kentucky and Huey Long of Louisiana, Congressmen John Robsion of Kentucky and Ridley Mitchell of Tennessee tentatively accepted invitations to attend, provided Congress had adjourned by celebration time. Louisville Times editor Tom Wallace also accepted an invitation to speak on the opening day. The final day of the celebration was designated as Governor's Day and Good Roads Day. Governor Ruby Laffoon and Ed Gatliff, state road commissioner, and several other members of the commission were expected to attend. Other speakers who accepted invitations to attend were Ben Johnson of Bardstown, Dr. Baird, state commander of the D.A.V. and state adjutant of the American Legion. N.E. Whiting, head of the Veteran's Bureau in Louisville and past commander of the D.A.V., Sargeant Alvin C. York, WWII hero of Pall Mall, Kentucky State Treasurer Elam Huddleston, a former resident of Clinton County, and Judge Roscoe Tarter of Somerset. 1935 was an election year in Kentucky and on the ballot was the Kentucky governor's seat. The DAV's arrangement committee, who organized the centennial celebration, decided to invite the three leading candidates for the office. They were Lieutenant Governor A.B. "Happy" Chandler, Thomas Rhea and Judge King Swope. Commander Littrell, who was chairman of the arrangement committee, would later write that he had advised all of the speakers not to mention anything political during their speeches. He cited Article 12 of the national Disabled American Veterans of the Work War, which provides that the corporation shall be non-political, non-sectional and as an organization shall not promote the candidacy of any person seeking public office. Judge Swope, a former congressman and current judge in Fayette County, spoke to a crowded courtroom inside the courthouse on Aug. 28th. Speakers were set up outside the courthouse so hundreds of others could listen. Littrell was in town but was not present when Swope began his speech. He later said the speech was 'purely political and in furtherance of his own candidacy.' A majority of the arrangement committee was present for the speech and decided Swope's was out of order. They wrote those words in a note and handed it to J.G. 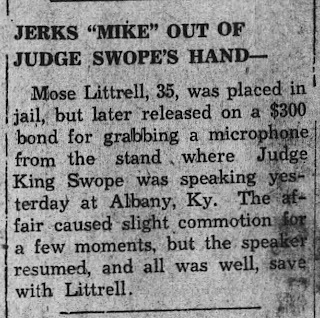 Smith, chairman of the Clinton County Republican party, who in turn handed it to Judge Swope, who immediately began what Mose Littrell later described as a "vitrolic assault on the senders of the note," referring to them as cowards and asserted that he would speak on any subject he might choose. Littrell said he was outside but within range of the P.A. system and heard Judge Swope's "attack' on the committee members. 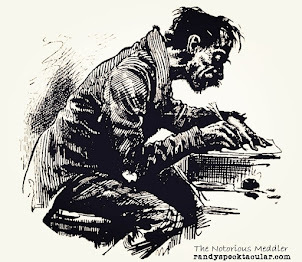 In a letter to the Louisville Courier-Journal on September 3, 1935, he said he felt that it was up to him to advise the audience that the type of speech being given by Judge Swope was against the provisions of the DAV organization and to advise them that if Judge Swope continues with that type of speech, the DAV desired to disavow all connections with it and to withdraw as its sponsor. Littrell said he went into the courtroom, walked up to the microphone and took ahold of it, but before he could make his announcement, he was seized by a number of people who were sitting nearby. He was taken downstairs to the sheriff's office while Swope continued with his speech. The Republican party chairman took out a warrant for Littrell's arrest and he was taken to the Clinton County Jail, but then released on a $300 bond. The Tennessean newspaper told a slightly different story. "Officers said Littrell seized the microphone and ran with it...members of the crowd "dragged" him to the sheriff's office downstairs. Littrell told the Louisville Courier-Journal that he was a Republican who had the highest respect for Judge Swope, but felt that it was his duty as a member of the DAV to abide by the Article 12 of the organization's constitution. Swope said he accepted the invitation to speak with the understanding that he could make a political speech. Littrell was charged and indicted. An Oct. 4th trial date was continued until Nov. 15th because it was believed Littrell would receive a fairer trial "after" the election. On the 15th, Littrell pleaded guilty to a charge of Disturbing a Public Speaker and was fined $300 to be paid within three months. 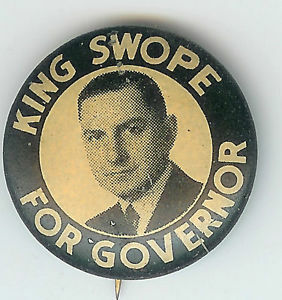 King Swope lost the election to Happy Chandler in one of the most lopsided gubernatorial races in Kentucky history at that time. In the 1939 primary, he lost the Republican nomination for governor to John Sherman Cooper. Mose Hurt Littrell was born on Nov. 24, 1892 to Thomas Mark and Nannie Hurt Littrell. He died on Mar. 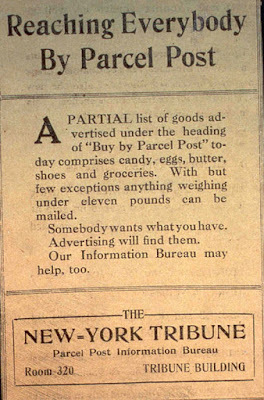 16, 1938. He was married to Mary McMillan. They had a daughter, Mary, the wife of Gayron Cross.